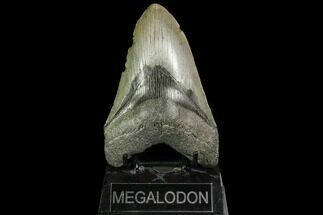 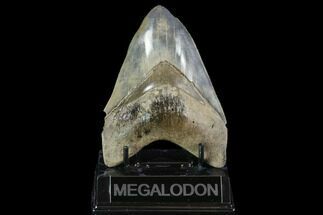 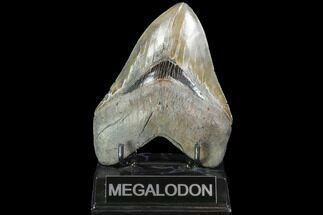 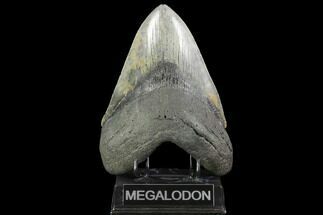 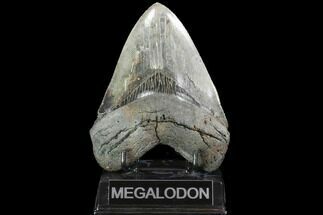 This is a large, serrated, 5.53" long, fossil Megalodon tooth collected in South Carolina. 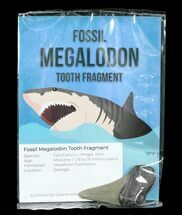 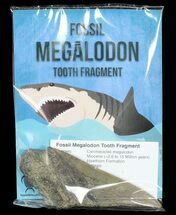 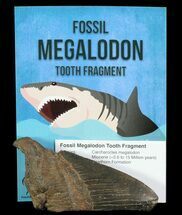 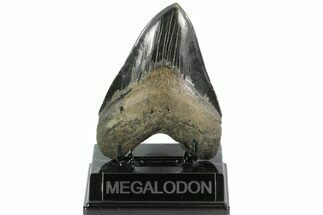 The tooth would have come from an adult, prehistoric, mega-shark in the 45+ foot size range. 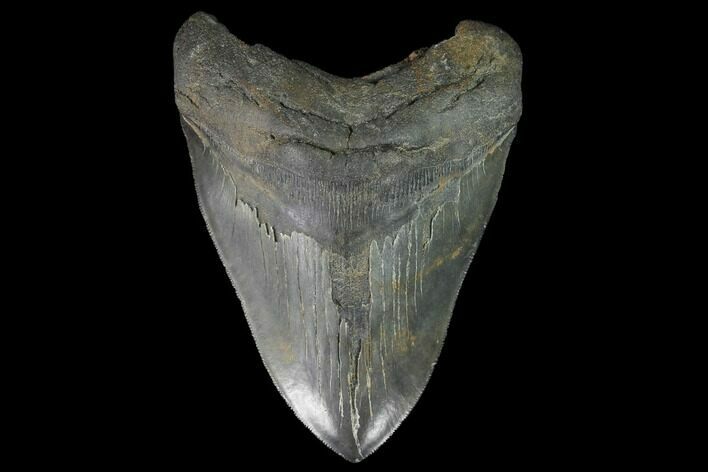 There are some enamel peels in the center of the blade but otherwise it's a nice tooth.